Germany’s parliament elects Angela Merkel for her fourth term as chancellor – Royal Times of Nigeria. Germany’s parliament on Wednesday elected Angela Merkel for her fourth term as chancellor, putting an end to months of political drift in Europe’s biggest economy. 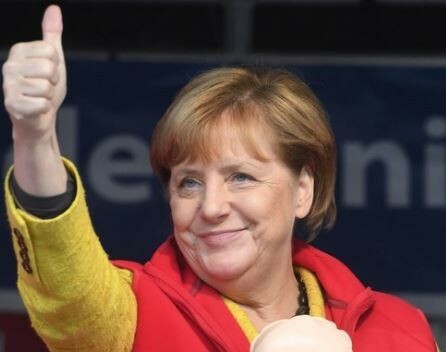 Lawmakers voted 364-315 to reelect Merkel, Germany’s leader since 2005. The coalition of Merkel’s conservative Christian Democratic Union, its Bavaria-only sister party the Christian Social Union, and the center-left Social Democrats has 399 of the 709 seats in parliament. Wednesday’s parliamentary vote came 171 days after the election, nearly double the previous record. Merkel was able to take office only after two-thirds of the Social Democrats’ members approved in a ballot the coalition deal clinched last month.